Funny how watching a great film can stir up the memories and create ideas. Easter Saturday started well, I woke up to the Sounds of the 60s on BBC Radio 2, hosted by the great Brian Matthew, he played a song that I had never heard before called “Stay at Home Sue” by Linda Laurie and The Del-Satins. It was the answer song to the hit by Dion and The Belmonts “Run Around Sue”, that was a song that always reminds me a bunch of my mates in Bradford going to see a film called The Wanderers. I forget the storyline, but it was the sound track of all the great songs that was etched in my mind. That started a day of memories. That evening with nothing on the telly I thought I would watch one of my “goto” films. The History Boys, the film version of the Alan Bennett play. It’s one of those films that I never get tired of watching. Most of the cast are now instantly recognizable, the dialogue is brilliant and the acting superb, and (can you tell I love the film), during the film they talk about subjunctive history and that phrase kept me awake all night. I had one of those sleepless nights that I get now and then and the only way I could sleep was to sleep with a pen and notepad and to write things down to get them out of my mind. This is the stuff that would keep psychiatrists busy for weeks. Here are some of my jottings and what I think they meant. Vlad the Impaler… one of my school friends called his son Vlad. I think my mind had been tuned into my school days and this particular friend was a brilliant historian, he was one of those people that memorised all the Kings and Queens of England, the names, the dates, everything. Calling his son Vlad seems a bit of a risky thing to do, maybe he thought it was a bit like the Johnny Cash song where the dad called his son Sue, to toughen him up against the bullies in life. 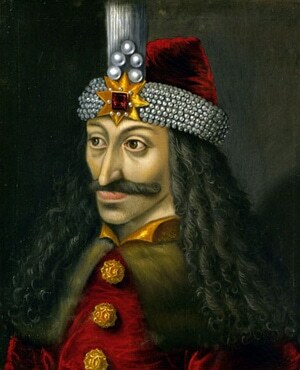 Trouble is, most of the kids will have never heard of Vlad the Impaler. Most of them don’t even know of William the Conqueror. Think the news of teachers threatening to go on strike was also in my mind. General Custer… this is where subjunctive history comes in, General Custer lost and died at the Battle of the Little Bighorn. He was known as Yellow Hair because of his long yellow hair and his yellow beard. Now if the Internet had been around and he had bought some shaving products from my new company: SafetyRazors.co.uk, he may not have had his beard, he may not have been instantly recognised by the Red Indians and he may have lived to fight another day and won. Tony Curtis … that came from thinking about Errol Flynn who played General Custer and then led me to Yul Brynner who played Taras Bulba, another historical figure. Now Yul Brynner would have been a great customer. 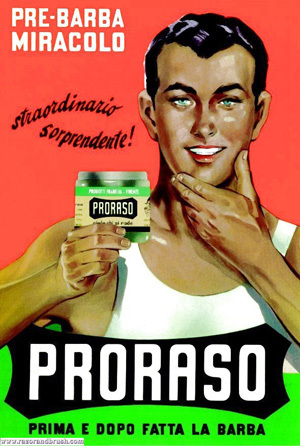 Tony Curtis looked Italian, but wasn’t, got me thinking of Proraso, an old Italian men’s shaving brand and that I need to write some history of the brand for my new company’s website. “Who Dares Wins”… or as now as I refer to this as “Who Shaves Wins”, we have just designed a new logo for the website that has a look of a shield, so have I been thinking of a short phrase to go under the shield, might turn it in the Latin/Italian phrase. Closest I can get to is “Per Radere Vince” which means “To Shave Wins”. So watching old movies can lead to also sorts of inspirations. Looking forward to seeing The Artist next week, have been waiting for it to come to The Customs House, and that reminds me I need to get my new 5 year plan in place (don’t ask). Any psychiatrists out there looking for a case to follow please apply within.